In 1963 Attorney General Robert Kennedy announced plans to close down the federal prison at Alcatraz. Among the reasons was the cost of housing prisoners there and the damage that the Bay's salt water was causing to the prison's concrete walls. The last inmates left in March of that year. Click here for newsreel footage. For years Alcatraz sat empty until in 1969 when a group of Native Americans seized the deserted island, citing an old treaty which allowed them use of unused federal land. The siege garnered much news coverage and focused attention on Native American rights. The San Francisco band, Creedence Clearwater Revival even donated a boat for the group on the island to use. The occupation lasted for two years before Alcatraz's inhospitable weather forced the Native Americans to leave. After the siege, there were many ideas put forth about what to do with Alcatraz. One of the most outlandish was a proposal for a $150 million Las Vegas-style hotel and casino. However in 1972 the island was incorporated into the larger Golden Gate National Recreational Area, and control of Alcatraz passed to the National Park Service which began organized tours of the old prison. Today, visitors to Alcatraz can see lush gardens and a wide assortment of native plants on the island. 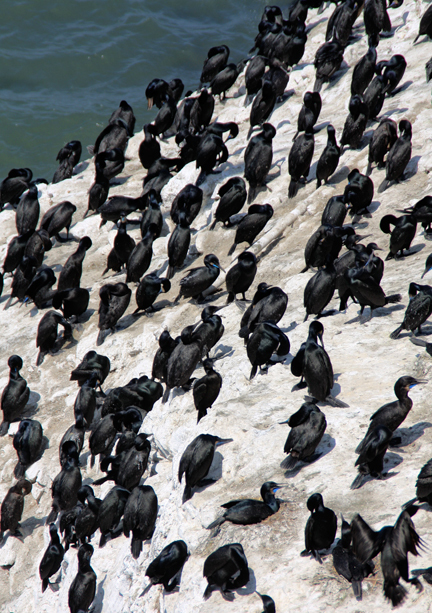 In addition, there are huge groups of wild sea birds and mammals living there. 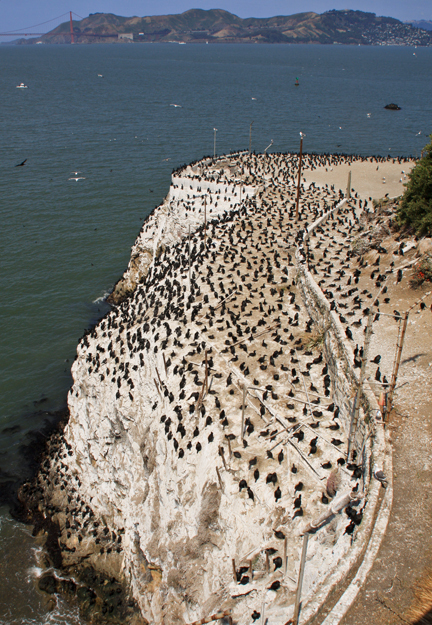 In a Bay Area with a population of seven million people, the Cormorants, Snowy Egrets, Gulls, and Black Oyster Catchers nest happily and undisturbed on Alcatraz Island.